What Should You Look for in a Strong Technology Partner? What does a strong technology partnership look like? One of the biggest challenges growing businesses face is bringing on new partners and building relationships that are built on solid people and products. Business executives are fearful, and rightly so, that any new technology partner may pose a huge risk to their own company. Any partnership is a basic agreement based on the trust that a partner’s product is good, will not fail, and will be market available in the long run. Most executives have experienced that trust being broken. In a recent video with Townsend Security CEO Patrick Townsend and Mark Foege, Business Development Consultant and Principal at the Colvos Group, both Mr. Townsend and Mr. Foege outlined the importance of building strong technology partnerships for success, and what to look for in a partner. One example Mr. Townsend gave was for an OEM partner. If a company integrates a partner’s product into their own technology, and that partner hasn’t built the product well, doesn’t provide solid back end support, or if their company folds and the product is no longer available, then the partnership can become toxic and unsustainable. These components ensure that the product will not only be affordable and easy to use by end users, but the products will be powerful, and by integrating or selling them a business will be able to grow new revenue. At the end of the day, a business only wants to partner with a technology company that has a good reputation. Mr. Foege recounted, “I was recently speaking with one of our partners, and I had asked them, what’s important to them when they partner with somebody. He said, my reputation is only as good as the reputation of those that I partner with, and that’s why they were excited to partner with Townsend Security. We realize that everything we do impacts the reputation of our partners. That’s why it’s important to us to provide solid, high value products, to make sure we are offering consistently first class support, and we work with our partners to make sure that their customers are completely delighted." When it come to encryption and encryption key management, having a strong, trustworthy partner is critical to your success in providing strong data security to your customers. Encrypting sensitive data is easier than ever, and protecting encryption keys is easier today as well; however, providing these solutions without thorough back end support from your encryption key management vendor can be disastrous. That’s why Townsend Security provides extensive support, knowledge, and training to all of our partners as well as marketing materials, encryption libraries, and many other resources to make offering encryption a painless task. To learn more about Townsend Security partnerships, watch the full video below or visit out partner page. If your company is an ISV, VAR, or OEM providing software or hardware to businesses who must meet data security compliance regulations (PCI, HIPAA/HITECH, GLBA/FFIEC, etc. 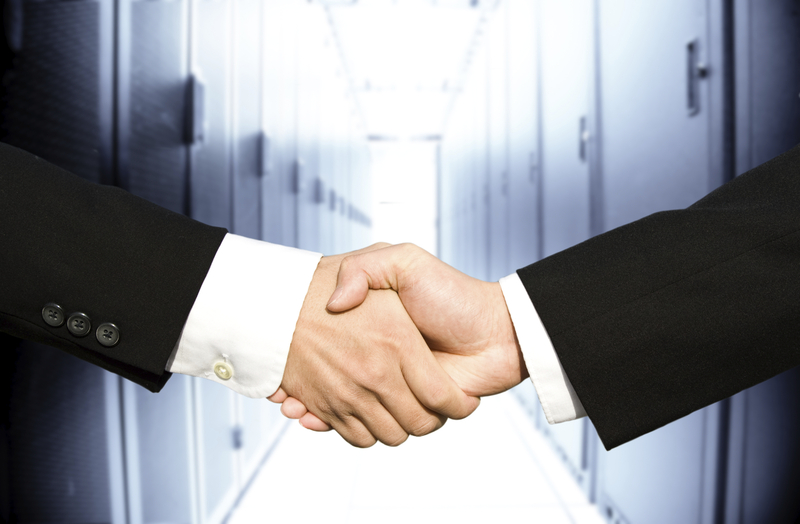 ), finding the right technology partners to offer your customers the best security available can be a difficult task. Technology partnerships have a reputation for being difficult and risky. Legal agreements, licensing models, and product performance are just a few examples of serious barriers. Unfortunately in today’s technology climate, there are many examples of technology partnerships that have reinforced this reputation. When it comes to protecting sensitive information and meeting security compliance regulations, we don’t believe anything should get in the way of offering your customers the best data security tools available. Townsend Security helps businesses of all sizes protect sensitive data with powerful encryption and encryption key management that not only helps companies meet compliance requirements, but will protect them in the event of a data breach. Reduced Complexity to Lower Costs - Your technology partner’s product shouldn’t be so complicated that it takes outside consultants, drawn-out projects, and extra time and money to implement. In our eyes, a good partner works hard to make sure their product integrates seamlessly into your existing technology infrastructure. Townsend Security is able to accomplish this quickly and at a lower cost by having the capacity and functionality to specialize our solutions to meet our partners’ needs. We also ease the burden of implementation by providing our customers with a simple and cost-effective licensing model. Provide Powerful Products - With the staggering number of data breaches that happen every month, there is no excuse to using sub-standard encryption to protect sensitive data. Many companies try to cut corners or meet the minimum standard by using “home-grown” encryption and key management or cheap solutions that don’t adequately protect data. However, when businesses use these solutions, many end up having to re-do their encryption and key management projects in order to comply with data security regulations (which are always becoming more stringent), or even worse, they experience a data breach and realize they can no longer skate by with weak data security. Townsend Security offers powerful, NIST-certified encryption and FIPS 140-2 encryption key management for all legacy platforms and the cloud to help you exceed standards and prevent data loss. Excellent Back End Support - When it comes to back end support, the people you deal with on a day-to-day basis can make or break a partnership. 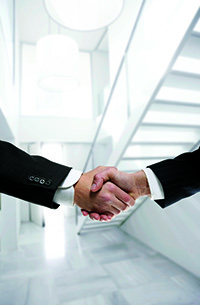 Townsend Security works closely with our partners to ensure their success. We provide our partners with training, marketing materials, OEM options, as well as easy and cost effective licensing models to get our powerful solutions protecting your customers as soon as possible. At the end of the day, the technology partner you choose should leverage your existing solutions by making them more powerful. It’s easy to secure data poorly, and it can be difficult to do it well, but Townsend Security has developed and scaled our encryption and encryption key management to eliminate the pains and obstacles of doing data security the right way. In a world where data breaches are occurring nearly every day, and data security in many organizations looks more like a sieve than a safeguard, using a strong encryption and key management solution is a must. Protecting sensitive data using encryption and protecting encryption keys using a strong encryption key management hardware security module (HSM) is so important today that it is required, if not strongly recommended, by most data security industry regulations such as PCI-DSS, HIPAA/HITECH, and GLBA/FFIEC. If encryption and key management are so critical to protecting data, why are so many data breaches occurring every week? This is especially an important question to ask merchants and retail companies whose encryption and key management strategy has already passed a PCI test in order to operate their POS systems. Although they’ve passed the test, many are still the easiest targets for hackers and seem to be the most susceptible to data loss in general. Competitive Advantage - As we have seen over the past few years, industry regulations such as PCI-DSS and HIPAA/HITECH continue to become more stringent. POS vendors offering NIST-certified encryption key management will only retain customers if they can offer encryption key management solutions that fall in line with these regulations. Protect Customers to Protect Yourself - When a data breach occurs, two parties take the most heat: the CEO and the software vendor whose solution was inadequately protecting the data. Retailers who experience data breaches due to poor encryption and key management techniques employed in their POS systems will likely blame their vendor and are more likely to migrate to a competitor. Offer a Higher Quality Product and Generate New Revenue - Almost every single POS vendor offers encryption and key management on their devices, but not every POS vendor does the job right. In these cases, a retailer may pass a PCI audit but still be vulnerable to a data breach. With a NIST-certified OEM encryption key management solution, a POS vendor can offer retail customers the best data security available and generate new revenue with that offer. In our opinion, POS vendors should absolutely offer their customers the best encryption and encryption key management solutions that are out there. It is clear that many POS vendors are not offering their customers the best data security tools, and the evidence is in the data breaches that happen nearly every week. POS vendors can offer their customers industry standard and certified solutions by implementing an affordable OEM encryption key management solution that is customized for their specific applications.